Motivated by the success of Vetiver in addressing serious environmental issues in more than 100 countries, we're pleased to offer this remarkable plant to Hawaii. VSH is committed to protecting and preserving our precious island resources--land and water. grow and install Hawaii Sunshine Vetiver, and consult with the local landscape, construction, government, and consumer markets. We happily introduce Vetiver applications to civil engineers, landscape architects, homeowners, landlords, developers, municipalities, community groups, students, and other interested people. is your backyard threatening your back room? Is your front yard washing into the street? Let us help! We'll provide a candid assessment. If Vetiver's the solution, you'll receive a prompt quote that includes the cost to clear your site, install Vetiver slips, place the irrigation lines, and maintain your planting during its four-month establishment period. Vetiver Systems Hawaii is a proud member of The Vetiver Network (International) (TVNI). In 2008, TVNI awarded us a Class 2 Certification for "Vetiver propagation and nursery management, soil conservation, and Vetiver information dissemination." In January 2010, TVNI elected Owner Mary A. Wilkowski to become an Associate Director, an honor and responsibility she was humbled to accept. Vetiver has been used in tropical climates to stabilize hillsides, stop erosion and define property boundaries for more than a century. Left naturally, its stiff, tightly-grouped leaves can reach heights of six to eight feet, although they can be trimmed easily with a hedge trimmer. It’s the invisible length of Vetiver, though, that tenaciously enmeshes the soil. Growing straight down 9-12 feet, Vetiver’s dense, fibrous roots lock into the earth. It grows on dry and swampy land, in fertile and poor soils, in soils that are highly acidic or alkaline, and in coastal areas. Vetiver flourishes in temperatures up to 122ºF, and in areas with annual rainfall between 11 and 236 inches. It’s unaffected by pests or diseases. Vetiver loves Hawaii. 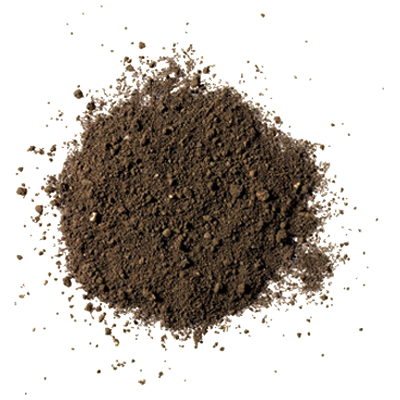 It’s not picky about the type of soil, and it grows quickly in our warm, humid weather. It tolerates—and remediates--soils contaminated by herbicides, pesticides, and heavy metals, including chlordane, heptachlor, arsenic, lead and TNT. Vetiver’s gluttony for environmental punishment is unmatched by any other grass. is plant material that has completed Hawaii’s mandatory quarantine. Understandably concerned about the incursion of invasive grasses into Hawaii, both the United States Department of Agriculture (USDA) and the Hawaii Department of Agriculture (DOA) maintain import restrictions on ALL grasses seeking to enter Hawaii. The USDA bans the import of ANY grass from outside the country. In addition to the USDA’s complete ban on foreign grasses, the DOA prohibits the release into Hawaii of any grass from the mainland until it satisfactorily completes a one-year quarantine. Confiscation occurs upon arrival. Vetiver propagated and sold by Vetiver Systems Hawaii proudly bears the Hawaii Sunshine Vetiver trademark. We propagate only Hawaii Sunshine Vetiver, which is non-invasive, and does not compete with native plants. Vetiver doesn't creep or send out rhizomes. Since its roots grow vertically, not laterally, it doesn't wander into other areas. However, Vetiver's sterility also means that each slip must be planted individually. It's labor intensive. Both the U.S. Forest Service's Pacific Island Ecosystems at Risk (PIER) and Hawaiian Ecosystems At Risk (HEAR) have evaluated Vetiver (Chrysopogon zizanioides) and assigned Vetiver their absolute LOWEST rating for invasiveness. Within a scale from-8 (least invasive) to 20 (most invasive), Vetiver’s PIER/HEAR rating is -8. The term "roots like steel" certainly applies to Vetiver! The average tensile strength of one root in Vetiver’s massive root system equals one-sixth mild steel reinforcement (mPA 750), the same strength as Lexan, GE's tough plastic. Conventional engineering uses rigid construction, including rock and reinforced concrete structures, sprayed-on concrete, gabions, steel gates, chain link, and fences. Fixed structures are brittle, expensive to install, and require costly repairs and maintenance. Often they're ineffective and unsustainable, not to mention unsightly. Permanent vegetative barriers like Vetiver, on the other hand, provide an attractive, effective, and affordable alternative. Planted in rows on the contour, Vetiver’s dense hedge and mass of fibrous roots create walls that halt the passage of topsoil and debris, and dramatically slow waterflow. By anchoring the soil and slowing rainwater velocity, Vetiver reduces rilling and gullying, prevents landslides, stabilizes steep slopes, and halts erosion. Vetiver's not only a green solution, it saves gr$$n, too! Vetiver retaining walls offer aesthetic and environmental advantages at a fraction of the cost of fixed structures. The total cost to install Vetiver retaining walls depends upon the slope, but it always comes in well below the cost of alternatives!! In most cases, Vetiver is the superior organic alternative. Mature Vetiver hedges keep out weeds and undesirable grasses, and retain moisture and nutrients. They survive earthquakes, monsoons, hurricanes, grazing, extreme heat, drought, and extended submergence. Vetiver grows year-round, harbors no pests or diseases, and does not migrate. Unlike other vegetative barriers, Vetiver is not fussy about its host site. It will politely do its job, growing in saline and sodic conditions, and even in acid sulphate or pure laterite soils. 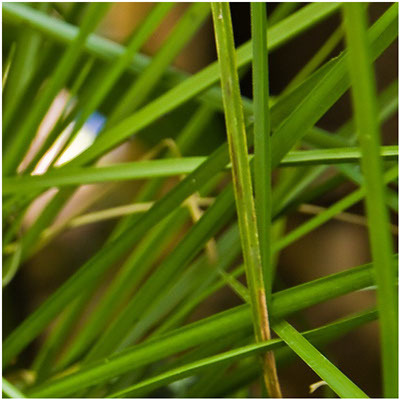 Since it even survives fire (generating new shoots in its line within days following fire), Vetiver is an effective firebreak in its green state. Vetiver resists drought, submergence, fire, windstorms, and grazing. It thrives in sunny, damp conditions. 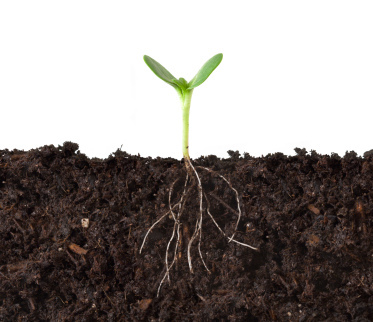 It improves the quality of soil by retaining moisture, halting and replenishing nutrient loss, and improving ground water quality. Vetiver rows are narrow (2’ wide) and do not compete with adjacent crops. the site will dictate the way Vetiver is planted, to stabilize slopes, Vetiver is most commonly installed in multiple horizontal rows on the contour (width) of the slope. Properly installed, and depending on soil, sun and water conditions, Vetiver flourishes and requires minimal maintenance. Within weeks, it forms dense walls that filter and slow the velocity of rushing water and trap topsoil and silt that otherwise would slide or be swept away as runoff. Sediment captured at the face of the hedge ultimately forms natural terraces, transforming otherwise unproductive land into a rich, fertile resource. For the first four months or so following planting, Vetiver requires daily water and periodic weeding. Once established, Vetiver resists drought up to six months. We cultivate Hawaii Sunshine Vetiver in our local nurseries and install it throughout Hawaii. The price of installation depends upon the application. Contact us at 808-536-5444 for a site visit and quote. Following Hawaii State Department of Agriculture regulations, we'll ship clean Vetiver to you, wherever you are, on your schedule! Few of us can install a single shipment of 10,000 plants at one time, so we'll make sure that you get healthy, rooted slips when you need them. We recommend that mainland or inter-national buyers confirm import requirements with their agriculture departments to avoid surprises. O, and these guys hate it!